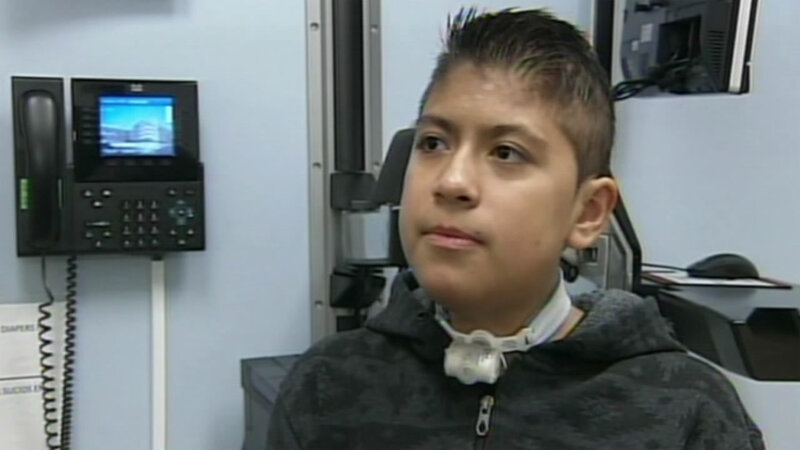 PALO ALTO, Calif. (KGO) -- Doctors at Lucile Packard Children's Hospital at Stanford performed a first-of-its kind procedure on the West Coast, saving a 13-year-old boy's life. Oswaldo Jimenez and his family flew to the Bay Area from Salem, Ore. for treatment of a rare condition affecting the arteries in his lungs and heart. While waiting for a heart-lung transplant, his lungs stopped working. The only way to keep him alive was to put a shunt in his heart to redirect blood away from his lungs. Oswaldo has this message to share: "No matter how tough things are, always stay positive and just keep on fighting." Oswaldo should be able to go home in about two weeks.